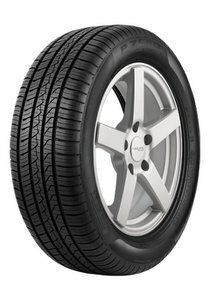 Developed with the most advanced materials and high tech production methods, the P Zero All Season Plus is a replacement tire that provides maximum performance in all weather conditions while delivering enhanced handling and grip. Outer blocks feature lateral siping which maximizes cornering performance and dry grip while providing improved aquaplaning resistance. Winter siping technolgy in inner blocks enhances tread pattern stability and improves snow traction while large grooves between blocks are designed to capture more snow and expel water faster. Variable tension control nylon belt optimized foot print shape, resulting in high levels of comfort, greater steering control and better traction. 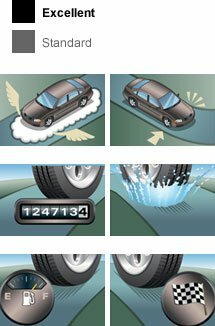 Circumferential grooves provide faster water expulsion, which improves safety and control in aquaplaning situations.